Austin, TX (September 30, 2016). 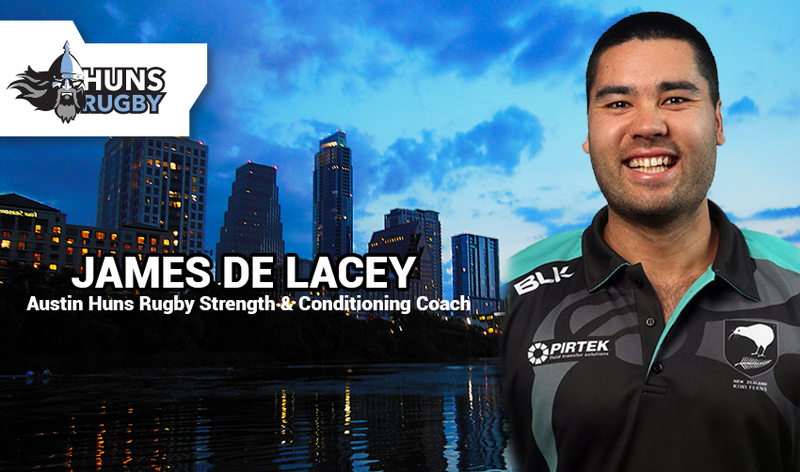 The Austin Huns are excited to announce James de Lacey as the head strength and condition coach. Austin, TX (September 1, 2016). – The Austin Huns have hired Daniel De Villiers as the Backline Coach for the next 3 seasons. 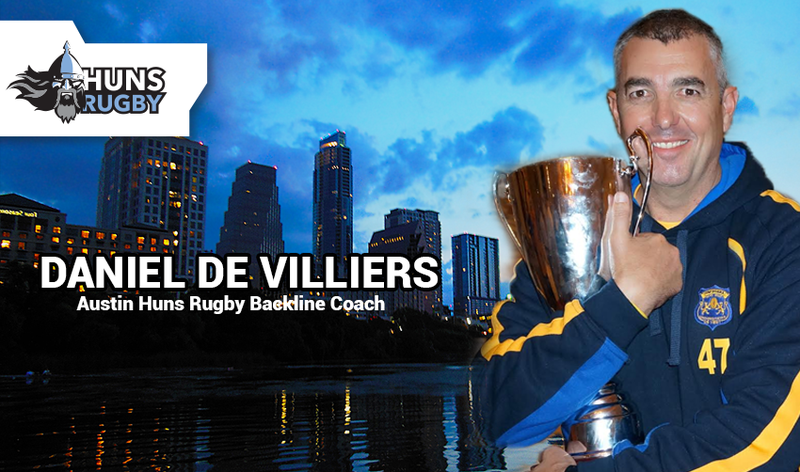 Daniel brings over 14 years of 7’s & 15’s coaching experience to the Austin Huns. His coaching resume includes club, provincial and intentional teams such as CSM Bucuresti, Timisoara Saracens, Rugby Skills Academy (South Africa), Rugby Roma Olimpic (Italy Top 10), Tunisia National and 7’s team, and PUMAS. Daniel’s rugby philosophy is “work hard, do the small things well,” which has proved successful in his coaching career by winning 10 of the 16 Finals/Championships Games he led his teams too. “I decided on Daniel for various reasons, but mostly because he is trustworthy, loyal, and a hard working person. I worked with Daniel when I coached the Lions and have mentored him since. Daniel has an analytic mind, is thorough, and detail orientated. He has exceptional knowledge of backline play and rugby in general. Daniel has performed as a head coach in Italy and Romania; he has also played provincial rugby in the backline. Daniel has an open and jovial personality, a positive mindset, and will be a tremendous asset to the Huns family and community” said Austin Huns Head Coach Eugene Eloff. Austin, TX (July 26, 2016). – The Austin Huns are proud to announce a new partnership with the Green Sports Alliance, an internationally acclaimed non-profit organization dedicated to leveraging the cultural and market influence of sports to promote healthy, sustainable communities where we live and play. The partnership makes Austin Huns the first rugby club in the world to join the Green Sports Alliance. “We are very honored to be a part of such a reputable organization,” said Huns Rugby Management Owner, Richard Osborn. The Austin Huns are committed to being trailblazers for the city of Austin, TX by advancing sustainability efforts including the designing and building of greener buildings, developing and deploying smart infrastructure, and the engaging and influencing of fan behavior. These projects will save money, which the team can then reinvest and use to expand community programs and other club initiatives. Sani Taylor breaks for a Try! Austin, TX (July 25, 2016). – The Red River Rugby Conference (RRRC) concluded its final 2016 National 7s qualifier play this past weekend. The Austin Huns were deemed conference champions after securing conference points through the 3-tournament series. 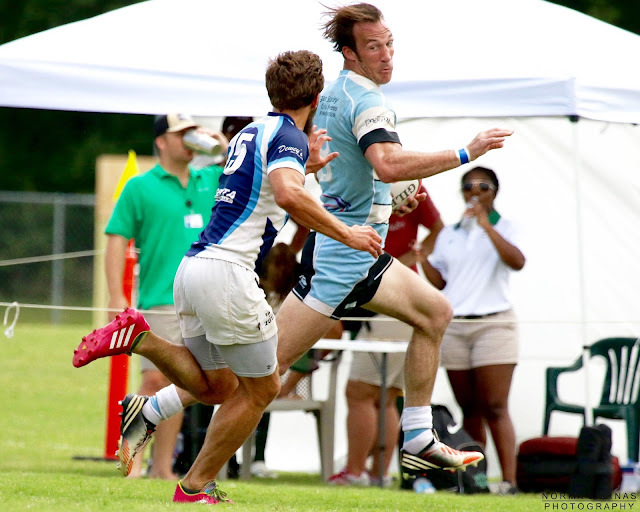 This championship qualifies the Austin Huns for the USA Rugby National Championships in Denver August 13-14, 2016 and it is the first time the club has qualified in its 44-year history. The Austin Huns and Little Rock Stormers began the tournament tied for the number one seed in the RRRC, with the Dallas Reds not trailing far behind. The Huns and Stormers fought to secure the conference championship, while the Reds battled for a tournament win and a national tournament berth possibility with a finals win. 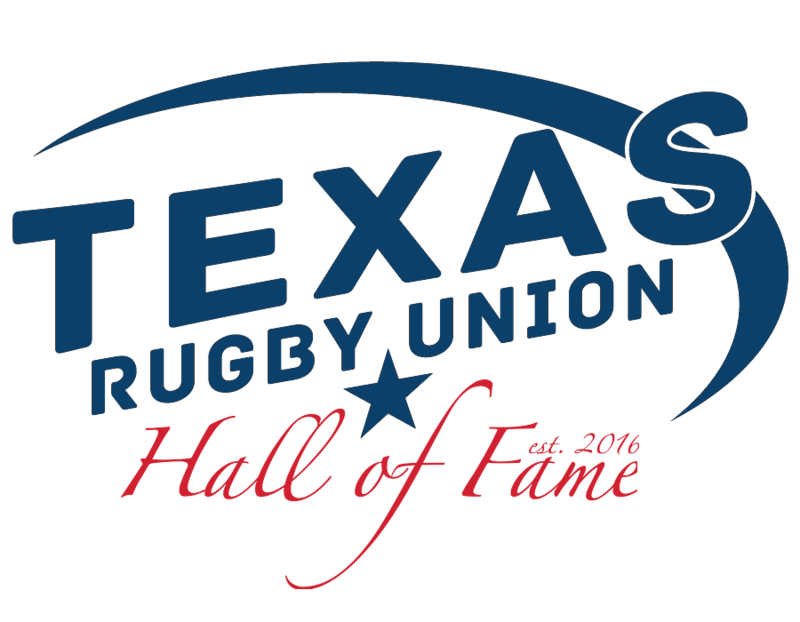 Please plan on attending the Hall of Fame Banquet Dinner on Saturday August 20, 2016 to applaud these dedicated stalwarts of the Texas Rugby Union. What they gave to the game was out of pure love, now let’s thank them for an evening of fun and festivities. 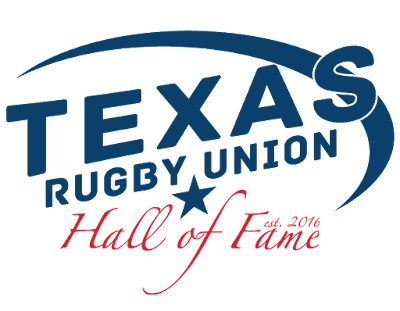 Go to the TRU Banquet and HOF Registration page to reserve your spot in a history making night as the Texas Rugby Union honors those that have given so much to rugby in Texas. These players became administrators, referees, coaches and role models for the growth of not only the Texas Rugby Union but the United States Rugby Union as well. Allen was perfect on the day going 5-0. They ended pool play with a narrow, last second win against East Side(Tulsa area). Norman won the other Pool based on point differential over Plano setting up the semifinals, Allen vs. Plano and Norman vs. East Side thus assuring a TX vs. OK Final. Allen was able to down Plano while East Side narrowly defeated Norman for the second time in 2 tournaments. This setup rematches for the 3rd/4th place match and the Championship. Norman pulled away from a young Plano team to capture 3rd while Allen and East Side duked it out until midway through the second half when Allen pulled away with help from MVP Bo Bird and Kevin Clift. 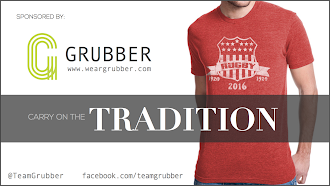 It would not be Texas Rugby without a bit of controversy. 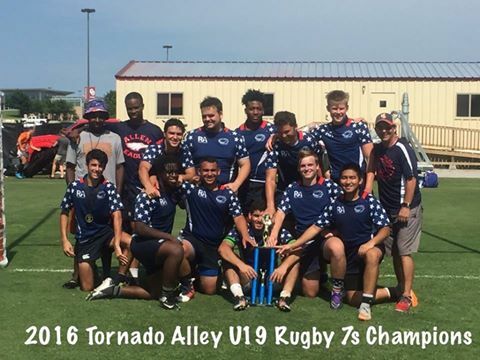 Fort Worth 7s experienced weather that certainly contributed to a bit of confusion that was exacerbated by the Austin Blacks not making the tournament. 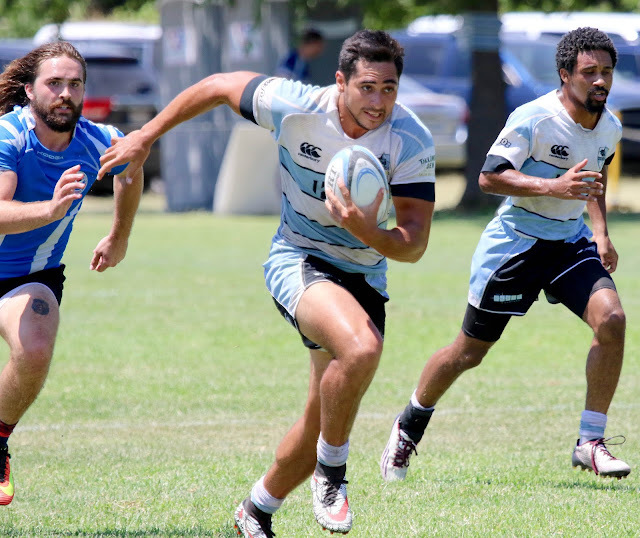 However, the Texas Rugby Union and the Red River Rugby Conference 7s committee straightened out the confusion in this post about RRRC Qualifier #2. Now, there will still be some folks caterwauling about the amount of points awarded to Little Rock for the Pool Play forfeiture, but we all know far ahead of time that a forfeiture is 28 points to the team that shows up. We also all know that in 7s, the ball can bounce many ways, and no competitive team can afford to leave any points off the board. Judging by Huns 7s Coach Jacob Liberman's statements below, we can expect the Huns to be dotting center much more often on their home pitch than they have in the previous two tournaments (and that's saying something!). What Does Texas Rugby need to ensure "more people play better rugby"?